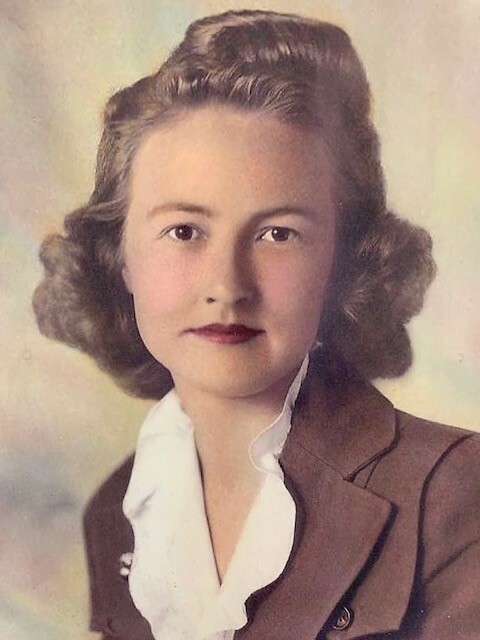 Olive Faye Tyler, age 96, of Greenville, OH; formerly of Troy, OH passed away on Monday, April 08, 2019 at the Brethren Retirement Community, Greenville, OH. Faye was born on January 26, 1923 in Union, OH to the late Irvin D. and Maud (Brown) Hart. On April 4, 1942, she married Rev. James W. Tyler and he preceded her in death on January 20, 2004. Faye is survived by her daughter and son-in-law: Joanne (Tyler) and Michael Shaffer of Dayton, OH; sons and daughters-in-law: Duane and Doris Tyler of Sidney, OH and Stephen and Frances Tyler of Milledgeville, GA; six grandchildren: Marijke Shaffer, Monika (Shaffer) and husband Scott Bartley, Dena (Tyler) and husband Michael VanBrocklin, Delane Tyler, Toban Tyler and wife Samantha Tyler and Tabatha (Tyler) and husband Steven Asbury, great grandchildren: Johnathan Tyler, Michael Smith, Logan James Herrera, J.D. Tyler, Landon Tyler, Gabby Asbury, Anna Asbury, Hannah VanBrocklin, Grace VanBrocklin, Sarah VanBrocklin, Elijah VanBrocklin, Noah Bartley, Joannah Bartley and Reva Faye Deane; and great great grandchild: Madilyn Smith. In addition to her parents and her husband, Faye was preceded in death by sisters: Mildred Williamson, Miriam Dohner and Ada Folck; brother: Charles Hart and one great grandchild. She was a member of the Troy Church of the Brethren. She formerly served as a girls’ softball coach in Huber Heights. She also served as a pastor’s wife, foster parent, nursery school aide and also a cafeteria worker with Huber Heights City Schools. She enjoyed knitting, crocheting, watching college basketball and professional baseball sporting events and rooting for Duke and the Red’s. Services will be held at 10:30 AM on Saturday, April 13, 2019 at the Troy Church of the Brethren with the Pastor Jon Keller officiating. Interment will follow in Riverside Cemetery, Troy, OH. The family will receive friends from 6:00 – 8:00 PM on Friday, April 12, 2019 at Baird Funeral Home, 555 North Market Street, Troy, OH. Memorial contributions may be made to the Troy Church of the Brethren, Church Worker’s Assistance Program, 1431 West Main Street, Troy, OH 45373. Condolences may be expressed to the family through www.bairdfuneralhome.com.